In this article, we will discuss about different environments that are used during PeopleSoft 9.2 upgrade initial Pass. You will also learn about the specific use of each of these environments and what they represent. New Release demo database refers to the database delivered with your new PeopleSoft release. If you’re upgrading from PeopleSoft HCM 9.0 application to PeopleSoft HCM 9.2 application then you would need to have a HCM 9.2 Demo database installed and configured to be used during your initial Pass. This New Release Demo Database is considered to be source for Initial Upgrade Pass and new release objects are exported from this environment and imported into your target environment. With PeopleSoft 9.2 upgrade, you have 2 options for using your source environment. 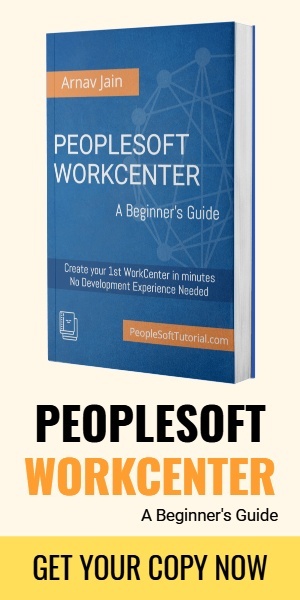 Either install a fresh PeopleSoft 9.2 application or use PeopleSoft Upgrade Source image. Upgrade Source image may not be applicable for all the customers as it can only be used as source for environments with Oracle database and English only. Make sure to go through documentation (PeopleSoft Upgrade Source Images Home Page (Doc ID 1552580.1)) for using and deploying PeopleSoft upgrade source before deciding to use it. 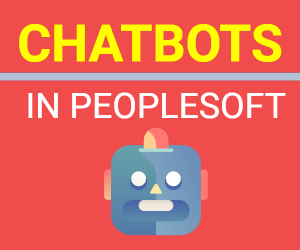 Note: There have been lot of confusion with use of different PeopleSoft virtual images. Please be clear that PI (PeopleSoft Image for PUM) can’t be used as source for your Upgrade Initial Pass. During PeopleSoft upgrade, you would want to upgrade your existing PeopleSoft old release application to a newer version. For that purpose, we take a fresh copy of production database and then specify it as target for Initial Upgrade Pass. Objects from New Release Demo database are imported into this environment and after completion of Initial Pass, this environment will become upgraded copy of production (with latest application release e.g. 9.2). 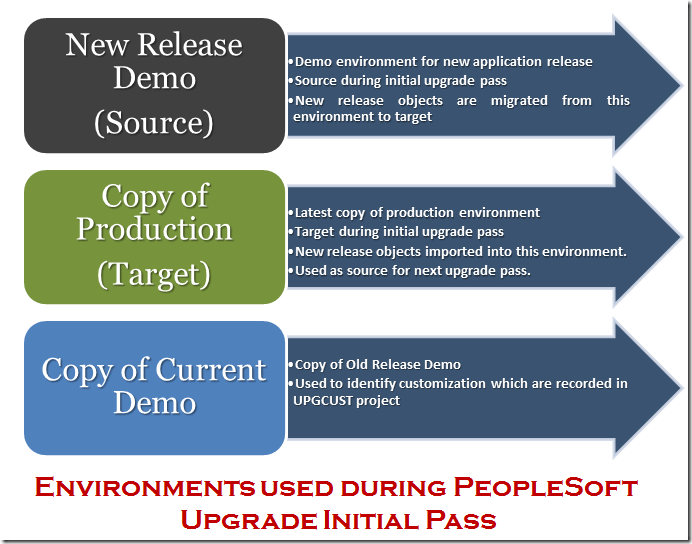 PeopleSoft Upgrade Initial Pass also uses a copy of current demo i.e. the demo environment of your existing release (e.g. HCM 9.0 demo). Purpose of using a copy of current demo is to identify the customization done by customer to the PeopleSoft application as delivered by Oracle in its demo environment. These changes/customizations are recorded in UPGCUST project. After initial pass is finised, we won’t need ‘New Release Demo’ and ‘Copy of Current Demo’ for other upgrade passes. Copy of Production will be come ‘Upgraded copy of Production’ and will be used as source for next upgrade pass (Test Move to Production).